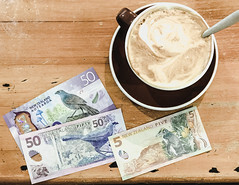 WELLINGTON – An increasing number of taxpayers in New Zealand are being forced to pay the highest tax rate in the country, despite not being particularly wealthy or affluent. In a new press release issued on July 10th, the New Zealand tax advocacy group the Taxpayers’ Union claimed that approximately 659 000 taxpayers in the country now pay the country’s top marginal tax rate, despite the fact that the national population numbers just under 4.8 million. The number of taxpayers paying the top marginal tax rate is equivalent to 18.1 percent of the population. The Union claims that in the UK the number of people paying the highest tax rate is only 364 000, even though the UK has 14 times the population of New Zealand. It was also claimed that the number of people paying the top rate is rising, as in 2010 only 377 000 people paid the highest marginal rate. The Taxpayers’ Union also claimed that the upcoming tax changes which were recently announced by the government will not have a positive effect on many taxpayers, as the majority of the benefit will be enjoyed by the low-income earners, and not those in the top bracket. The problem has been blamed on the lack of upward adjustments of the tax bracket, a problem often referred to as bracket creep.